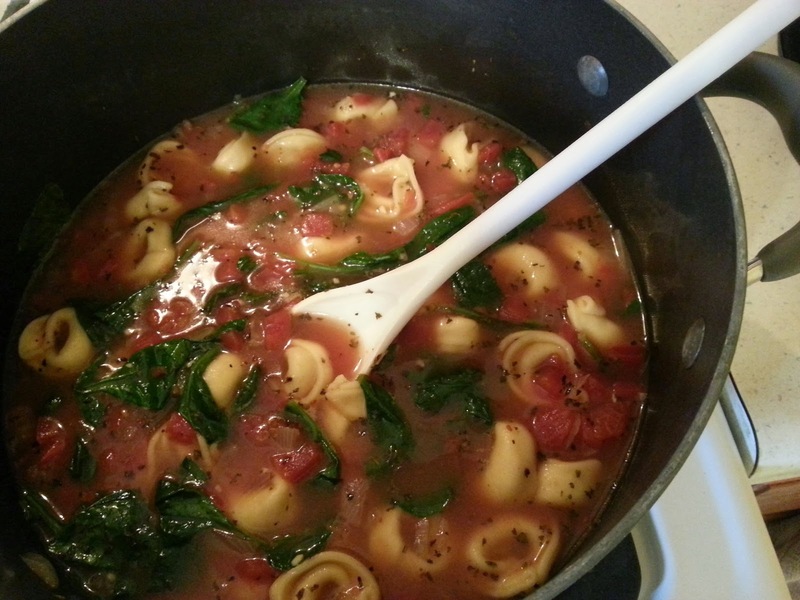 A few weeks ago, I whipped up some spinach tortellini soup for a weekend meal, recipe courtesy of Tracy over at shutterbean.com. It. Was. Awesome. It was incredibly easy to make, it tasted like I had spent hours slaving over the stove making it, and (maybe best of all) Boyfriend loved it. He said it tasted almost exactly like the pasta fagioli his grandma would make him when he was small. That, my friends, is a high compliment. What I'm telling you is that if you make this soup, not only will your stomach thank you, but your family will love it and make you feel like a rock star. PLUS, this has delicious pasta in it. I don't think we have to address why that is amazing.